Charlotte, NC (RestaurantNews.com) JJ’s Red Hots is ready to showcase its sausage for the 7th time at what has become the Queen City’s favorite, most unique and aptly-named annual events: SausageFest. JJ’s is famous for serving the Queen City’s best hot dogs, hand-crafted artisanal sausages and house-made sides and toppings and is nationally-renowned for being one of the rare Hot-Dog centric brands to be featured on Diners, Drive-Ins and Dives on Food Network. In partnership with Cheerwine® and Sahlen’s®, JJ’s will show off its culinary muscles at the 7th annual sausage and beer festival on Saturday, November 3th from 3 pm – 7 pm at its original restaurant in Dilworth (1514 East Boulevard). For $40 during pre-sale (HIGHLY recommended, as SausageFest has sold out for six consecutive years), or $45 on event day (unless sold out during pre-sale), JJ’s guests can enjoy unlimited house-made sausages, 30+ Craft Beers from 10 local Charlotte breweries and live music. Designated drivers can join the party for $25 and kids 10 and under are admitted free. Ticket holders will receive an 8oz tasting glass to fill throughout the event. The glass doubles as a take-home souvenir as part of the entry fee. In addition to serving hand-crafted delicious food with passion, Luther also knows a thing or two about music. His band The Whiskey Dollars will perform live, opening for regional favorite Time Sawyer, whose root-sy music hits the right chord with folk, alt-country and rock and roll fans alike. Korean Style ‘Bulgogi’ Sausage stuffed with Rice. Served with Spicy Kim Chi Slaw. SausageFest will also feature craft beer samples from The Unknown Brewing Company, Legion Brewing, Sycamore Brewing, Windy Hill Orchard, Lenny Boy Brewing, Triple C Brewing, Hyde Brewing, Amor Artis Brewing and Resident Culture Brewing. JJ’s 7th annual SausageFest promotion will happen as the brand remains on an incredible roll that began on July 4th six years ago. 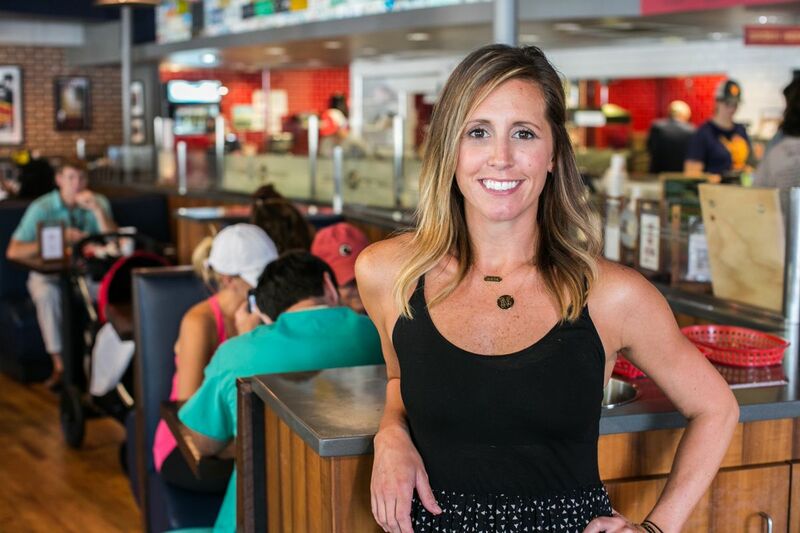 In addition to February’s “Triple D” feature on Food Network and making Fast Casual’s Top 100 Movers & Shakers list for two years running, JJ’s has swept all of Charlotte’s Best Hot Dog awards in the past six years. Most recently, JJ’s was named by Tabelog as One of The 10 Most Unique Hotdog Joints in America, was cited by Spoon University as The 50 Best Foods to Eat in Charlotte Before You Die and as one of the 10 Best Hot Dog Joints Across the State by North Carolina’s Our State magazine.